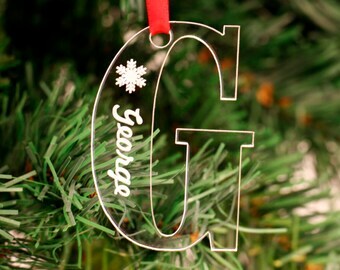 An elegant addition for your Christmas Tree or a unique touch to your festive decor. 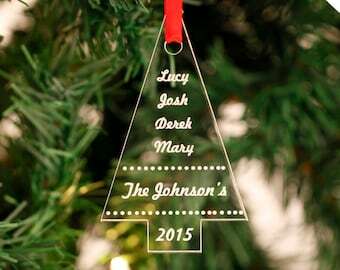 These seasonal decorations can be engraved with your personalised message making a beautiful family keepsake or that special gift at Christmas time. 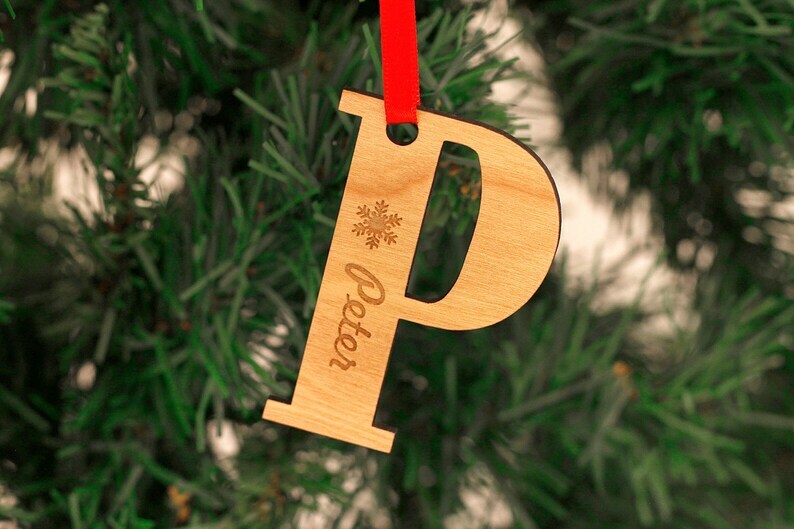 Your bespoke Christmas decorations will be designed just for you using our high grade 3mm dark wood. 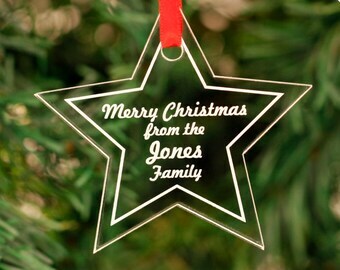 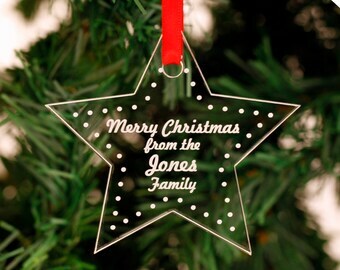 Your decorations are created by engraving directly onto the wood enabling a crisp and clean engraving. 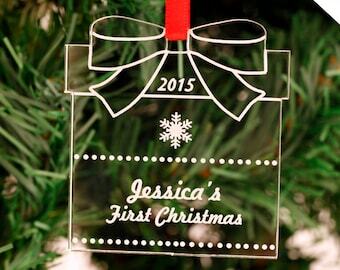 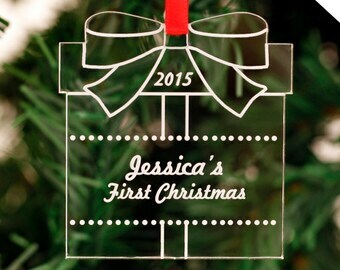 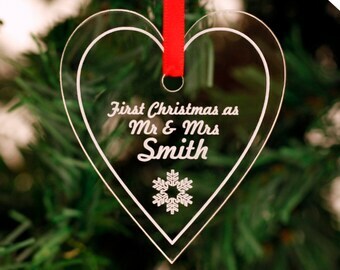 Your unique transparent acrylic Christmas decoration is supplied ready to hang with 3mm thick red satin ribbon. 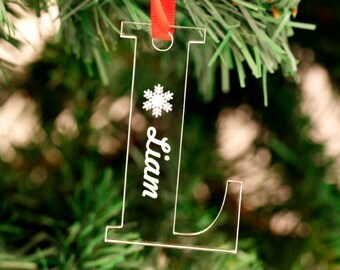 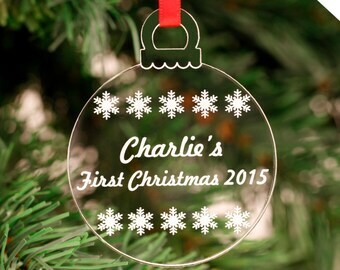 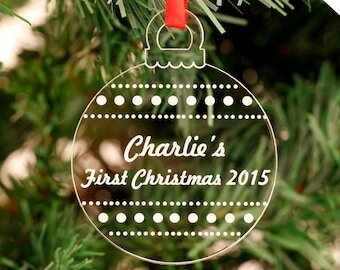 Size: Each personalised decoration measures at approx. 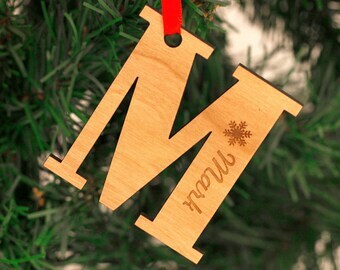 (h) 7cm X (w) 6.5cm. 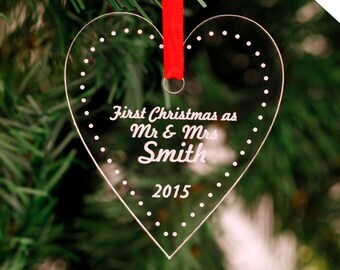 Please choose the design you desire and the quantity from the drop down menus at the top of the page, then click 'Add to cart'. 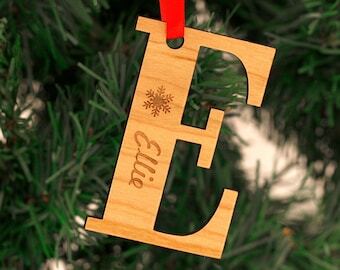 To send your engraving text please write your desired text including the name(s), message and year (if necessary) in the ‘notes to seller’ section upon checkout. 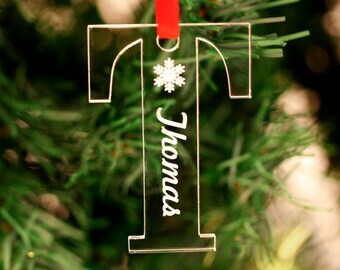 Don’t forget to leave the details that you want to engrave for a smooth and quick transaction.